The Obama Administration may have abandoned the space program and the search for life on other planets, but it is determinedly searching for moderate Islamic terrorists all across this planet. So far it has tried to identify "Moderate Taliban" (these would be Taliban who only chop off your feet, not your head) and "Moderate Hizbullah" (who only support bombing Ashkelon but not Haifa). It has yet to get around to trying to locate any "Moderate Al Queda", but we have to assume that's next on their shopping list. If the same people running foreign policy in the US and Europe had been in charge in 1941, when Rudolf Hess, the third in the line of succession after Hitler and Goring, flew to the UK with a peace offer-- Hess would have been wined and dined, and the Allies would have prematurely aborted the war in joy at having finally discovered a "Moderate Nazi." Instead Churchill churlishly had Hess thrown into the Tower of London, where he stayed until Germany was defeated and he could be put on trial at Nuremberg. Of course if we overlay the present on the past, it's easy enough to imagine the ACLU rushing to offer pro bono legal counsel to Rudolf Hess, the New York Times running a series of stories planted by PR companies working for Nazi Germany detailing his plight in the Tower, and demanding that he be given his day in court, and George Clooney making a movie in which he plays Hess' lawyer. Of course all this actually did happen. Except Hess was named Hamdan, and he was Osama bin Laden's bodyguard and chauffeur. And yes George Clooney will play his lawyer. The difference is that by 1941 there were a shortage of people who still had a weakness for Nazis. Years of brutal war had changed that. And today there is still no shortage of those in the media, Hollywood and of course holding down the polished wooden desks at the State Department and the Foreign Office who have a weakness for Islamic terrorists. And that "weakness" is a prerequisite for the pursuit of the moderate Islamic terrorist. To understand why that's so, let's examine the logic behind the Great Moderate Terrorist Caper. What is a moderate Islamic terrorist? Boiled down to basics, it's a terrorist who's willing to sit down and negotiate with us. Which means that the only difference between an "Extremist" and a "Moderate" is that the extremist wants to cut our head off without talking to us, while the moderate wants to tell us exactly why he wants to cut our head off, and how many heads we can give him to satisfy his bloodlust. Let's take at Hamas and Fatah in Israel. Both are terrorist groups with social welfare arms for their followers. Both teach children that becoming a suicide bomber will get them into paradise. Both are covered with the blood of the people they murdered. Both oppress even their own people, and murder anyone who crosses them. But the State Department insists that Fatah is a peace partner and Hamas is a terrorist group. What's the difference between them? Hamas refuses to negotiate any kind of peace plan. Fatah is willing to negotiate a peace plan in bad faith. That is why Fatah gets billions of dollars from the US, and Hamas has to make do with whatever Mahmoud Ahmadinejad, George Galloway, Cindy Sheehan and the good people at Code Pink can smuggle to them. Naturally the Obama Administration has also been in the market for "Moderate Hamas" terrorists to negotiate with, but despite Robert Malley's best efforts, none have yet turned up. Even the prospects for a "Moderate Taliban" don't look good. That may be because our only criteria for "Moderate Taliban" is not based on their respect for human rights or not murdering our soldiers-- but on their willingness to sit down at a table with us and accept our concessions. Now think about the national self-image of the people who think this way and you'll see the source of their "weakness". Churchill wasn't interested in what Hess had to say, because he knew that England was in the right, and Nazi Germany was in the wrong. Obama and his people are deeply interested in what the Taliban and Hezbollah have to say because they're not sure of any such thing at all. Their mindset is still stuck in 1933. They're still busy apologizing for everything America did wrong-- to people who think nothing of murdering their own daughters over a text phone message. It's as if Chamberlain were still in power in 1941 and was busy apologizing for causing Germany's economic problems, while London was burning around him. Chamberlain was unfit to govern because he did not see his nation as good, and Nazi Germany as evil. By contrast Churchill was fit to take his place because he saw it exactly that way. Obama and those who work for him not only don't share Churchill's view, they don't even share Chamberlain's. They don't merely suffer from moral equivalence, they actually believe that our enemies have a just grievance against us, while we are experiencing blowback from our foreign policy-- and need to shut up about it and make our peace with the terrorists. And people who see it this way, whether it's Barack Hussein Obama or Nick Clegg or Jean-Marie Le Pen or Rand Paul, are completely unfit to govern in wartime. That is the heart of the "weakness" that we have been talking about. A corruption of the spirit. In the logic of appeasement, all Islamic terrorists have a valid grievance against us. They engage in violence against us because of their grievance. If we can only meet with those moderate terrorists who are willing to listen to us, and work with them to resolve that grievance, the extreme terrorists who refuse to listen to us will be marginalized, and peace will prevail. Call it madness or treason, this is exactly what they believe. And work to implement. There are numerous examples to show that this doesn't work. If nothing else, seventeen bloody years in Israel have demonstrated that. But the Obama Administration is determined to follow its sympathies, which are ever hostile to America and its interests, and friendly to those who would destroy us. And so they go on praying for a moderate terrorist. A terrorist who will put on a suit and tie, shake their hands for the camera, accept their concessions and usher in a reign of hell on earth. What kind of people pray for a moderate terrorist? The kind who let a mosque be built within sight of Ground Zero. Whose preferred form of American history is a list of wrongs that we committed against everyone. Who believe in a reverse form of American exceptionalism, that we are exceptionally bad, exceptionally evil and an exceptionally awful country. Who have a context for everything our enemies do to us, and none for what we do in our own defense. The kind who in not so many words, believe the terrorists have a point and that we need to work it out with them. 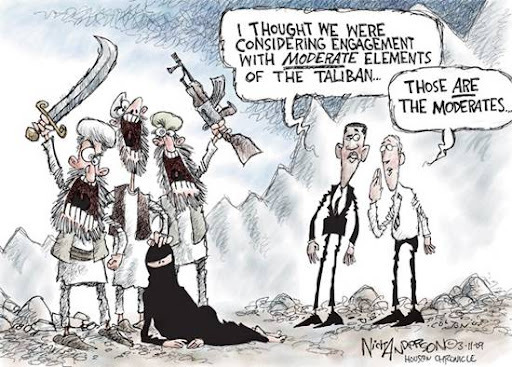 A moderate Islamic terrorist is most in demand by people who are looking to surrender. They just wish there was someone reasonable around for them to surrender to. You've accurately described every Israeli gov't. 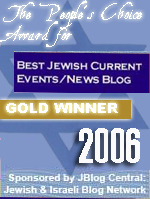 since Oslo, including our current disappointment, Netanyahu. Obama's methodology is fine, and as long as the lamestream media give him a pass he will not only get away with it but capitalise on the inability of the masses to see what and where he and his pathetic idolaters are towing America. Of the two things that can save the free world, Obama is not one of them. We urgently need to be free from the chains of dependence on fossil fuels, and before our spineless, misguided leaders are powerful enough to abort, or sabotage the research. It would also help if the elusive invention were developed by Israel, or at least by Jews, as yet another supplicant for survival. Otherwise, we should sit tight and wait for Islam to teach us that 911 was little more than a minor inconvenience to our daily routine, as we lose a city and millions of lives instead of a couple of buildings and a token few thousand. Sure it will happen, and as surely the usual suspects will remind us that not all Muslims are terrorists and anyway even Christians and Jews are imperfect. Still, let us hope that the inevitable outrage, sanctioned by our own inaction, finally nudges the free world into confronting with Islamic brutality the evil ideology that if still left unhindered, will and will deserve to fulfill its obligation to Allah. It is a religious tenet of secular humanism that everything is 'rational' and that there is always a logical answer. Men are not evil, just misguided, and once shown the 'right' path (of rationalism) they will take it. O believes this, he believes that man is god and that, as president, he is a pharaoh amongst men. He believes that he is good and that compromise with the enemy, to bring 'peace at any cost' is a valuable exercise in humanity for the mutual benefit of all. Our political elite, in their ignorance or vanity, have allowed millions of Muslims to settle in the West. It must by now, be apparant to them, that this was a serious mistake. Therefore they cast about hoping to find moderate Muslims living in some place, that will get them off the hook. So far no such luck. The alternative is to cast Tea Party members as a grave threat to western democracy. They have sunk low, and will sink lower. Mikec: I agree with 'peace at any cost', even if the cost is terrible violence, but not when the design of that peace is an atrocity against Mankind. Hollywood is even more far gone than you imagine. 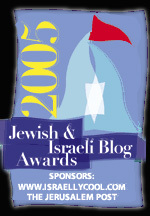 In a meeting with some development execs a few days ago, I was pitching a story that has a Jewish element. The execs asked me if I could change the Jew to a Muslim. I asked why. They told me that they feel it's their duty to present a positive view of Islam. These were all Jewish executives. Naturally. that certainly explains a lot of what we're seeing on the screen nowadays. But appearing to be socially conscious is always more important than actually being it, in trendy circles. Good article. 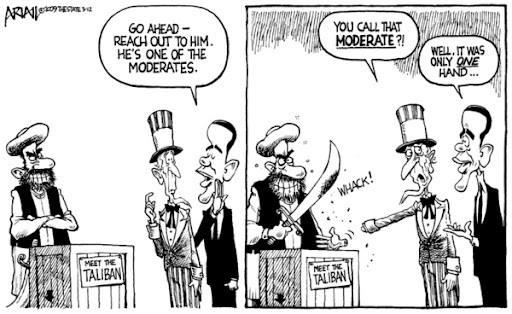 I really like the way you put things together: "Moderate Taliban - those who only chop off your feet, not your head". I 100% agree with your first two paragraphs, but after that I think you are off. "O" does not believe that man is god, he believes that Allah is god. As far as compromise with enemy - the question is who in his eyes is the enemy. My impression is that for O the enemy is America, and he is working on bringing Islamic peace to US, which means submission to Islam. And I don't think he has no real comprehension, I think he knows exactly what he is doing, and it is more like the other way around: many Americans still have no real comprehension, or just refuse to believe, what he is trying to do to this country. Yes, for people who feel the world is in total chaos and want some form of parental guidance even if the "parent" ultimately turns out to be a horribly abusive monster. I've always thought there was something almost child like in Obama's simple and vacuous message of Yes We Can and the way people grasped on to that childlike message. Bad analogy but it almost reminds me of the story about little train that could (I think I can, I think I can, I think I can). Obama: Yes we can, yes we can, yes we can. Personally, I think Obama is just the high profile face, the palatable face, of something very evil.